C-clamps are popular for their simplicity and versatility, which is why every toolbox should include at least one if not more. This industrial strength 4-inch C-clamp is the choice of professional tradesmen everywhere, and features reinforced stress points that can take whatever you can dish out, tough-as-nails ductile iron construction, and a dirt- and rust-resistant enamel finish. Pro Series 4-inch C-Clamp C-clamps are popular for their simplicity and versatility, which is why every toolbox should include at least one if not more. 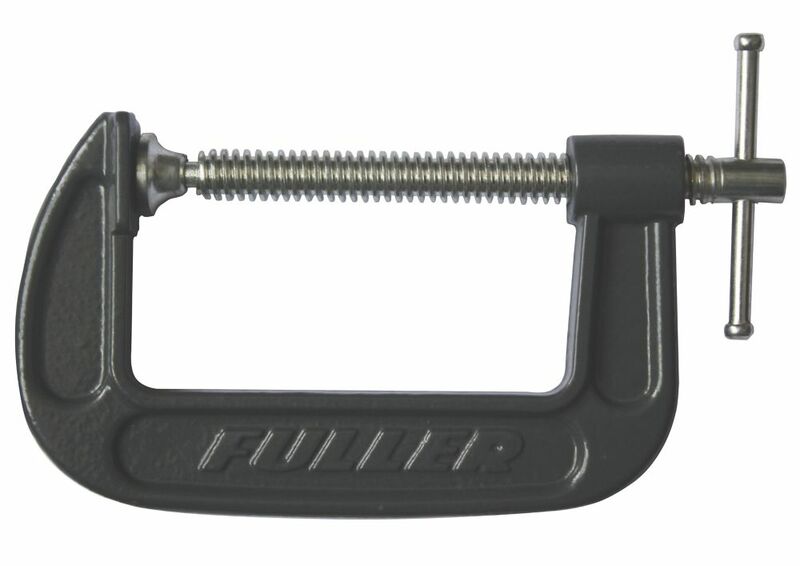 This industrial strength 4-inch C-clamp is the choice of professional tradesmen everywhere, and features reinforced stress points that can take whatever you can dish out, tough-as-nails ductile iron construction, and a dirt- and rust-resistant enamel finish.